If you want to try your hand at making your own wine, most homebrew shops will sell you the supplies to get things started. 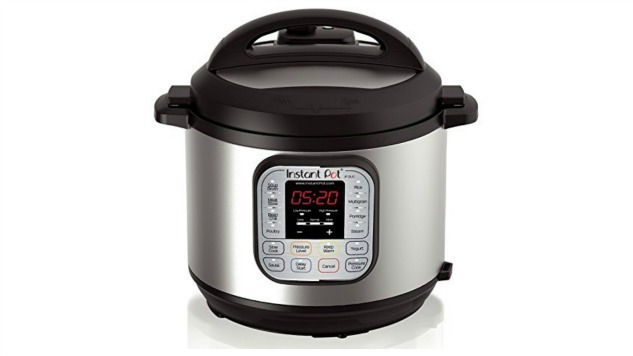 Or, if you’re David Murphy, you could just pull out your Instant Pot to the make the magic happen. After seeing a few memes wishing “One of those Pinterest chicks could throw grapes in a crock pot and make wine,” Murphy decided to be that chick himself and figure out how to make wine at home using his Instant Pot. So how exactly does one go about making wine in a pressure cooker? Essentially, Murphy used grape juice, sugar, and yeast and then cooked it in the pot on the yogurt setting for 48 hours. For a product known for cooking things “fast,” that’s a long time cooking. I’ll let you get all the juicy (pun intended) details from Murphy’s blog, Food N’ Service. After cooking the wine, you let it sit and continue fermenting in the bottle you bought the juice in for a few days. He recommends waiting a month to down it, but says it’s drinkable (although possibly with hints of CO2) after eight days.